Since the inception of the luxury tax, parity in baseball has been king. The last repeat champs were the 3-peat Yankees from 1998-2000. 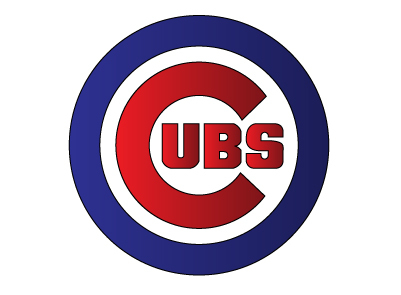 The Cubs epitomize special and they have some incomparable young talent… but to bet on them to repeat at less than 4:1 odds is asinine. They lost Fowler’s OBP and speed and Soler’s big bat, but Kyle Schwarber is back to make up for that firepower in a big boy way. Out in the bullpen electric hothead Aroldis Chapman is gone but what the Cubbies gain in Wade Davis and Koji Uehara should be more than enough to make up for it. Davis and Uehara have more [successful] postseason experience and even though Uehara had an off year by his standards with a 3.45 ERA, his previous 5 seasons he averaged a 1.99 ERA and never went above 2.52. While Chapman’s 103 MPH fireballs are flashier, I’ll take Davis’ 1.27 ERA (avg over last 3 years) and his incomprehensible 1 earned run allowed TOTAL in his 2014 and 2015 playoff campaigns in 25 combined innings (0.36 ERA). I love this team. How could you not? The odds are just terrible. Their pitching staff also leaves something to be desired. They’re all obviously coming off a ton of innings pitched and we saw how that turned out for the Mets’ phenomenal pitching staff in 2016. Lackey is 38 with a ton of miles, and both him and Arrieta were pretty inconsistent last year. Hendricks was a stud, but he’s still only entering his 4th season and relies solely on his location rather than his stuff. The amount of times he made it past the 6th inning were few and far between. The Cubbies also lost a ton of speed and defense with the loss of Fowler as well as depth and power off the bench by losing Soler. They remain one of the most entertaining and talented teams in baseball and with a much weaker National League I’m penciling them in to win the pennant. Taking them at less than 4:1 to win the whole shebang is another story. BREAK OUT STAR: Javy Baez (kinda cheating since he broke out in the playoffs) — THE GAWD. Huge season coming. UNDER THE RADAR: Albert Almora Jr — He’s going to get a lot of playing time with the loss of Fowler and lack of depth on the bench. He’s 22 years old and hit .321 in September. Invest heavily. DUE FOR REGRESSION: John Lackey/Kyle Hendricks — Explained above. Too old, too young, and too many innings last year.